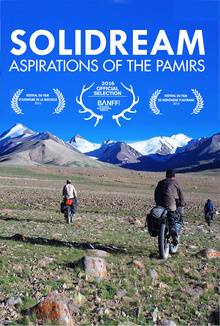 In the remote Pamir mountains, in Central Asia, three friends want to show the viability of an ambitious bike concept, designed buy young French crafstmen and made out of bamboo. Besides climbing peaks close to 6,000m, they meet men and women who have decided to take on another kind of challenge : innovate to perpetuate local culture and win back their autonomy. Since home and up to top of Tajik mountains, their adventure engage ourselves to wonder about the sense and the responsibility of our actions.